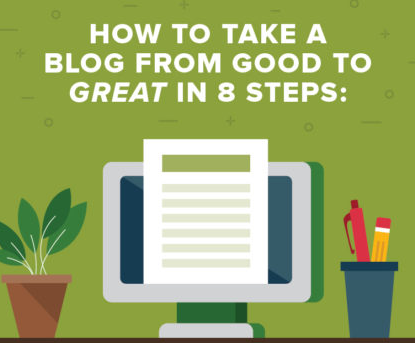 Home > Blog > Blogging > Weekly Infographic: 8 Steps to a Great Blog Post! Weekly Infographic: 8 Steps to a Great Blog Post! 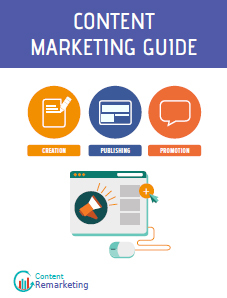 Blogs are an effective tool through which brands can connect with their audience. But ensuring that your blogs are in sync with your business objectives can be difficult. Before you start working on your blog, research to have a clear perception of what is already existing. Your research procedure should also include the preferences and needs of your target audience. Go through the best blogs on the topics which you have selected and see what they have to say and what they have overlooked. Focus on your main talking points. If you have an outline, the writing process will become easier for you. This will ensure that you don’t miss out any vital point. Make use of quotes, facts, and figures from well-known sources to show the reader that you have a good know-how about the subject you are talking about. The Brafton infographic shares some interesting insights on how you can create an interesting blog post.